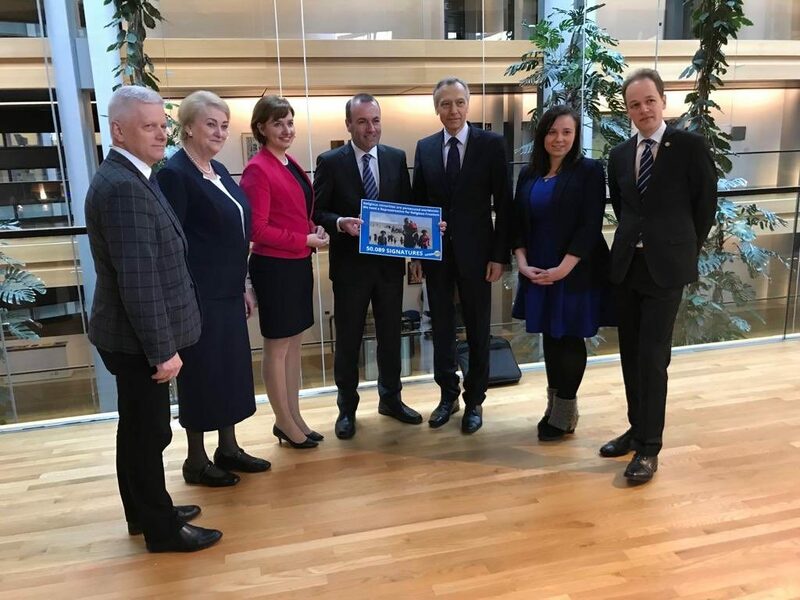 PRESS-RELEASE – The European Humanist Federation takes note of the adoption by the European Parliament of its Report on the EU Guidelines and the mandate of the EU Special Envoy on the promotion of freedom of religion or belief outside the EU. In the meantime, it doubts that it will result in effective EU action for the protection of everyone persecuted for their thoughts worldwide. What started as a text standing up one-sidedly against the persecution of Christians only resulted after long and hard negotiations in a more balance report including a recognition of the freedom not to believe or to leave one’s religion, the duty of the Special Envoy to speak up for persecuted atheists and apostates and a call for a transparent and comprehensive assessment of the effectiveness and added value of the position. It also commits to involving non-confessional organisations in EU initiatives related to freedom of religion or belief. Despite these improvements, the EHF warns about the fact that the initial political intent of this text is still on the agenda of the drafters, that is – as it was voiced during the negotiations – to limit the EU’s action to the protection of Christian minorities only and assert Europe’s Christian nature. Some MEPs even questioned the usefulness to discuss these issues with non-believers – “those people who believe in nothing”. 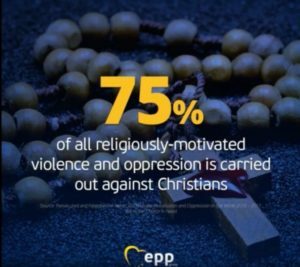 Prior to the vote in the EP plenary, the rapporteur himself both said and tweeted that “75% of religiously-motivated violence and oppression is carried out against Christians”. After the adoption of the text, he held a press conference together with the Special Envoy, Ján Figel, and a panel of widely known defenders of very conservative Christian values such as ADF and the CitizenGo Platform, campaigning against LGBT rights, abortion and contraception and focusing only on the persecution of Christians. Given prior experience, we already had doubts that intentions would be followed by deeds. But seeing the political communication around the report and the EPP-stamped visuals tweeted by the rapporteur, our doubts are more than confirmed. , commented Hervé Parmentier, Executive Director of the European Humanist Federation. When a press conference talks almost exclusively about the role of the Church in promoting freedom of religion, emphasizes that Christians are the most persecuted and focuses mostly on religious freedom instead of the much more universal freedom of thought, the intensions become rather clear. Humanists strive to build a society where everyone is allowed to live according to their values, free of discrimination. One essential element of this is freedom of thought. Whether thoughts are religious or not, and whether they are Christian or not, freedom of thought is not optional. It is one of the core components of human dignity and it is universal. EU action has to reflect that. The EHF regrets this religiously-motivated orientation and will stay vigilant that EU action to protect freedom of thought will not exclude any persecuted person, whether Christian, religious or neither.